The microbiologists continuously exploring camel milk for its unique antimicrobial characteristics. They revealed that camel milk’s (CM) antimicrobial attributes are more important than other multi-dimensional benefits especially in scenario as scientists has warned about the future threat of superbug1. Scientists and health officials have been warning us about antibiotic overuse and drug-resistant “superbugs” for a long time. Antibiotics kill bacteria that cause infection but in the process they can also kill good bacteria (the human body hosts about 100 trillion). This phenomenon is developing towards a complicated two pronged dilemma, i.e. 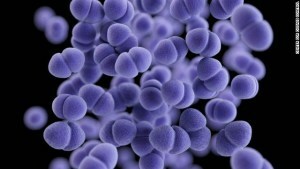 resistance of harmful bacteria to antibiotics and vanishing the good bacteria. The scientists has warned that million of people will be killed by the superbug in the years to come.